If you or a family member has been injured in a serious accident in Alabama, a personal injury attorney at Hollis Wright, is ready to assist you in collecting compensation for your loss. With more than 150 years of combined experience, our attorneys will provide you with personal attention, as well as the aggressive representation your case requires. Additionally, we go to great lengths, including using in-house investigators and hiring outside experts, to ensure your case is ready for trial should it advance to that point. Contact an Alabama personal injury attorney at Hollis Wright, for your free initial consultation. We work on a contingency fee basis, meaning that you never pay legal costs unless you collect damages for the loss of your loved one. We serve clients in greater Birmingham, Tuscaloosa, Montgomery, and throughout the state. If you or a loved one has been seriously injured, it is essential that you speak with an experienced personal injury lawyer about your case. 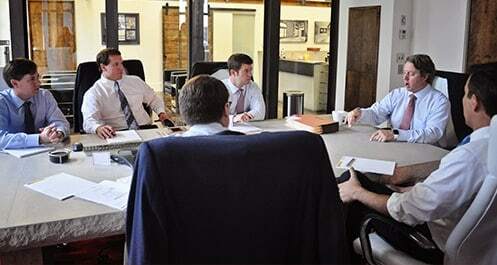 The Alabama personal injury attorneys at Hollis, Wright, Clay & Vail, P.C. are ready to help you pursue compensation for serious personal injury, including money damages for medical expenses, lost wages, personal pain and suffering, emotional distress, and more. After a serious injury, it is of the utmost importance that you contact the Alabama accident and injury attorneys at Hollis Wright as soon as possible. There are several reasons for this. For starters, your memory and the memory of possible witnesses is significantly compromised the more time that passes after the accident. For the sake of your case, it is best that everyone's memory is fresh. Additionally, most states, including Alabama have statute of limitations laws, which prohibit the case from being viable after a certain amount of time has passed. After the applicable statute of limitations has expired, your case will no longer be viable, the case will be barred, and you will not be compensated for your losses. First and foremost, however, it is best for you to seek medical attention for any injuries you sustained. This is for your obvious well-being, as well as for the good of your case. Your attorney will need your injuries well documented to begin building a solid case. 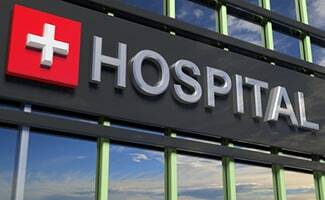 Contact the capable personal injury attorneys at Hollis Wright immediately after you have received medical treatment for the injuries related to the claim you plan to file. You may contact us here or at 844.LAW.TALK. If you have questions about a serious injury, call toll free 844.LAW.TALK or contact an experienced serious injury lawyer online for your free initial consultation. We are happy to confer with you via telephone if that is more convenient. Hollis Wright works on a contingency fee basis, so you never pay legal fees unless you are compensated for your serious injury or the death of your loved one. Evening and weekend appointments are available for your convenience. Call 205.324.3600 locally or toll free at 844.LAW.TALK today.